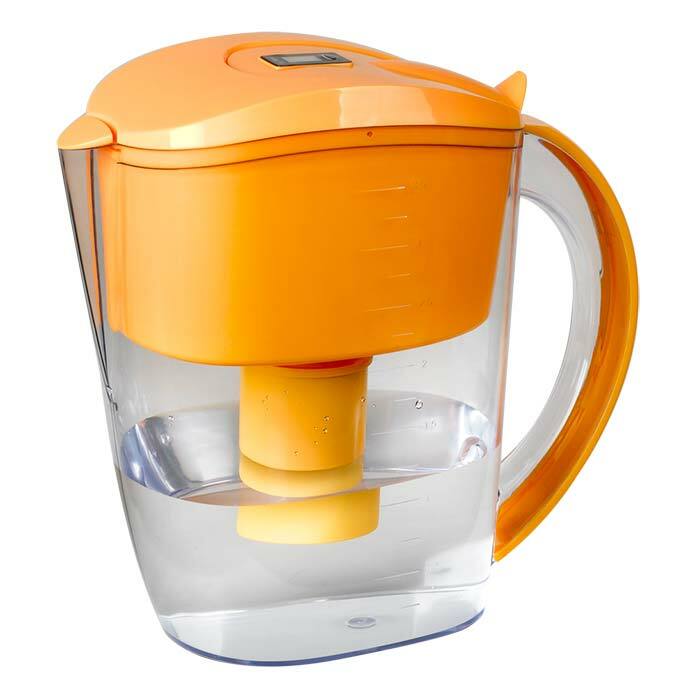 This Regular Water Filter Pitcher will produce a clean drinking water without boiling it. Simply fill the reservoir with cool tap water, and it will filter out chlorine and other contaminants and permanently absorbs metals such as lead and copper. The drinking water will be more refreshing and clear that’s ideal for drinking and cooking. Inside material: Active carbon, Ion exchange resin. Every year, bottled water produces about 1.5 million tons of plastic waste. It's estimated that a mere 20 percent of these plastic water bottles actually make it to a recycling bin. The rest end up in landfills _ where they will take 450 to 1,000 years to decompose _ or in the ocean _ where marine life often fatally mistake the bottles for food. One water filter pitcher replaces about 300 standard 500ml bottles water. By using this water filter pitcher, you help reduce plastic waste and landfills that could pollute the environment. Not only that: it also eliminates the need to boil water which saves valuable resources and reduces greenhouse gas emissions. Comment: Only comment is that i requested to replace the other one with white but the item was already shipped.. nonetheless, im happy with the service and the item that i received.